The New York Knicks are looking to change their bad fortune and will a winning team as they are interested in bringing John Wall to the Big Apple. Marc Berman of the New York Post reported the Knicks are “stocking up” their young assets and could attempt to trade for Wall if he becomes available via trade. The report states the Knicks would offer Frank Ntilikina, Damyean Dotson, Courtney Lee, a 2020 first-round and a second-round pick as part of a three-team swap. After the starting the season at a putrid 6-12, the Washington Wizards are 4-2, which is likely lessening their desire to blow up their roster. 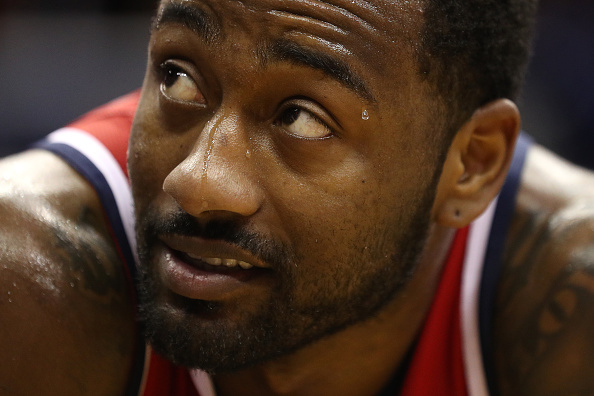 Trade discussions have quieted down in Washington as the Wizards have begun digging themselves out of their hole over the last couple of weeks. The Knicks are also expected to be major players in free agency this summer. Wall will have a $37.8 million cap hold for 2019-2020, which would take the Knicks out of max salary room if they wanted a chance to go at Kevin Durant.